Stylish and compact, this GROHE Eurostyle Cosmopolitan model is designed for rooms that only have a cold water connection. From cloakrooms and ensuites to guest bathrooms and bedrooms, it’s perfect as the short spout is ideally suited to smaller basins. Thanks to GROHE EcoJoy technology, your water consumption is cut by up to 50%. That’s good for the environment as well as your wallet! And the spout comes with a special nozzle that is less prone to limescale build-up and deposits are removed with a quick wipe. 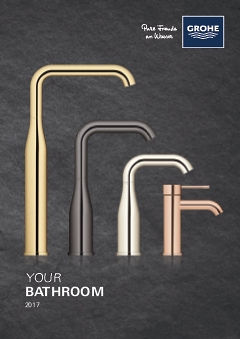 GROHE Eurostyle Cosmopolitan – a blend of classic design and premium performance!